A day after Sasikala Natarajan was elected the general secretary of the All India Anna Dravida Munnetra Kazhagam (AIADMK), party leader H. Pandiyan on Tuesday questioned the manner in which the former has been elevated and added that she does not have the quality to become the leader of the party or chief minister of Tamil Nadu. "Sasikala Natarajan doesn't have the quality to be the AIADMK general secretary and Tamil Nadu Chief Minister. I haven't come out of sadness after Jayalalithaa's demise," he said. Strongly opposing the elevation of Natarajam, Pandiyan said, "The way she was elected as the general secretary in a hotchpotch manner, however, by the blessings Jayalaithaa and M.G. Ramachandran, the swearing in ceremony of Sasikala did not take place." When asked whether the AIADMK is divided within where only some have raised their apprehensions against the move, Pandiyan said, "There is no division within the AIADMK. Many leaders fear Sasikala and that is why none of them are going against her. But I will change that culture." However, uncertainty over V.K. Sasikala's induction as Tamil Nadu Chief Minister still remains as Governor Ch. Vidyasagar Rao is still in Mumbai. Sources said, Governor Rao won't be going to Chennai. Rao yesterday accepted the resignation of chief minister O. Panneerselvam. 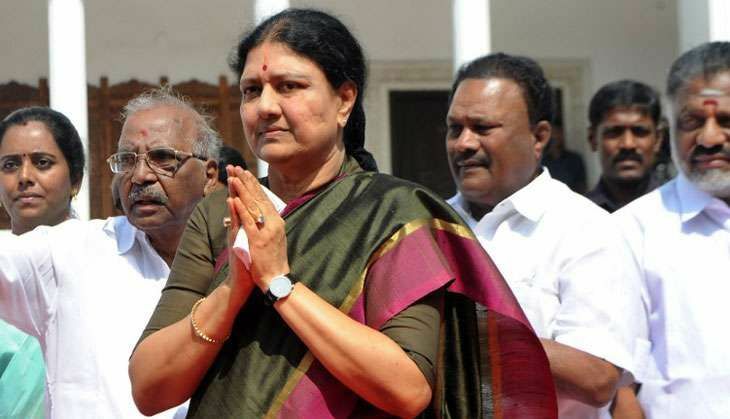 This uncertainty is likely to have risen after a Public Interest Litigation (PIL) was filed yesterday by a Chennai resident in the apex court seeking a stay over Sasikala's swearing-in, claiming that she had been convicted under the Prevention of Corruption Act, 1988, for amassing wealth disproportionate to her income. Sasikala is the second accused, and next to late chief minister J. Jayalalithaa in the case. The petitioner said he filed the plea in the interest of people of Tamil Nadu and to maintain the peace in the state. Has Tiger Shroff started ignoring girlfriend Disha Patani? READ NEXT >> Has Tiger Shroff started ignoring girlfriend Disha Patani?